John Meeks was born on 17 October 1839 at Ashton-under-Lyne, Lancashire, England, son of contractor William Meeks and his wife Julia, née Bromley. He married Mary Pickup in 1861 in Lancashire and they had three sons and four daughters. He died on 2 May 1899, aged 59, at Drofereh, 152 Hereford St, Forest Lodge. He had a Methodist funeral but was buried in the Church of England section of Rookwood Cemetery. Mary Meeks died at Glebe on 27 January 1909, aged 69 years. John Meeks arrived in Brisbane in 1862 and soon moved to Sydney. He worked as a bricklayer and also for the Australian Gaslight Company for eight years. He started his own smelting company, Australian Smelting Works (later trading as Low & Meeks), at Harris Street Pyrmont. From 1878 to 1880, he was a Committee member and manager of Parramatta Brick & Tile Works. In 1880 he sold his smelting works and became a contract builder. He went to England in 1892 to purchase a plant for Lithgow gasworks which he built on his return. From 1885, he lived at 176 Hereford Street in Glebe. He also had built for himself an attractive cottage called Everton at Faulconbridge and made unsuccessful efforts to find shale or coal for mining on his property. He left an estate valued at 8,707 pounds for probate purposes. Meeks was a keen cricketer and a founding member of Glebe Bowlng Club. He was president of the Glebe Bowling Club and the Victoria Park Cricket Association. He was also an active freemason and a freetrader. Meeks was a member of the NSW Legislative Assembly for Glebe from 16 October 1885 to 26 January 1887. 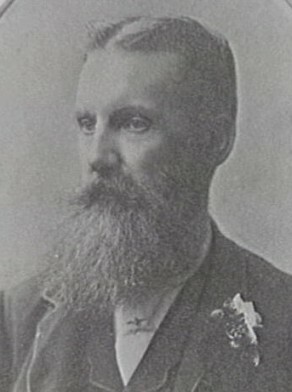 John Meeks was a member of Sydney City Council from 1879 to 1892. He was Alderman for Denison Ward, 1 December 1879 to 30 November 1882, and for Phillip Ward, 23 May 1883 to 30 November 1892. Meeks was Alderman on Glebe Council from 1890 to 1892. In his campaign for the Glebe electorate in 1887 Meeks urged extension of the railway in the city and outlying districts ‘meeting the central entrepot of Redfern’. He was very critical of the Land Act ‘passing huge areas irrevocably into the hands of a few individuals and through them to the banks’.